The video is an extended version of the recently released song. 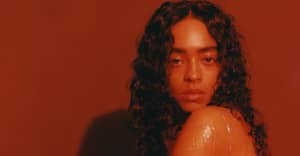 Fast on the heels of dropping "Shades of Blue," Kelsey Lu is back with a jam-packed visual for the soaring tune. The 9-minute clip begins with Lu perched on the shores of a cloudy beach, staring intently into the sand. Over the course of the clip, the singer is pictured alone in the woods, draped in a white gown as she digs in a swampy marsh. "Shades of Blue" marks Lu's first release since her blooming 2016 EP Church. Check out the Shades of Blue video above.